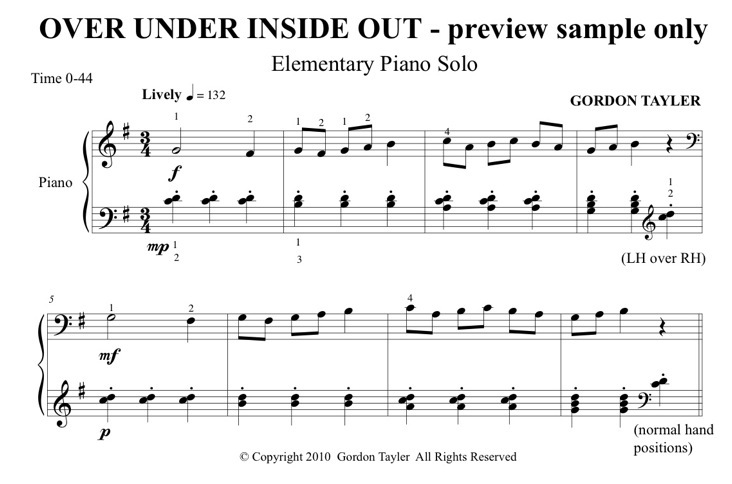 This elementary piano solo requires a strong sense of beat and rhythm. Young students will enjoy the gymnastics of this piece with a number of hand cross-overs, the conversation bars 9 -16, as well as the symmetry of the contrary motion chromatics in the middle section (bars 17 – 25). Careful attention should be given to the changing balance between RH & LH as the melody and chords change from one hand to the other.